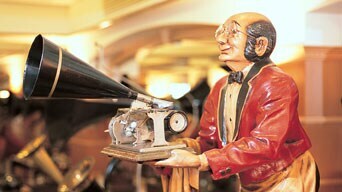 The Museum boosts a collection of over 200 pieces of authentic historical audio and visual equipment : antique gramophones and phonographs, hand-cranked music boxes, manual telephones, tube radios, carved cashiers, wire recorders, televisions and coin-operated juke boxes that date back from as far as more than one hundred years ago. Come and experience the visual and operatic beauty of original records and cylinders playing on the original talking machines. Take yourself back in time and marvel at the magic and wonder of an earlier world of music powered by springs to the development of modern day electronics. Opening hours: Appointment is needed at least one day in advance. Closed on Saturdays & Sundays.